Come out and celebrate the release of Charity Starts At Home and The Wonder Years with Phonte and 9th Wonder at Five Star in Raleigh NC! Phonte and 9th Wonder will be stopping by Schoolkids Records for an in-store appearance THIS TUESDAY (9/27) from 12:00-2:00 PM! They'll both be signing copies of their new solo albums (Phonte's Charity Starts at Home and 9th Wonder's The Wonder Years) and we will be giving out FOUR pairs of tickets to their upcoming 10/23 show at Cat's Cradle! With his solo debut on the horizon line, the Justus League forefather looks at his family tree with new insights and an olive branch in Hip Hop's battle of the sexes reveals his key to success. If you let Phonte tell it, he used to look outside of himself when making music. Now, the North Carolina Hip Hop pioneer looks within. That key change has helped the emcee/singer evolve in the last two years. 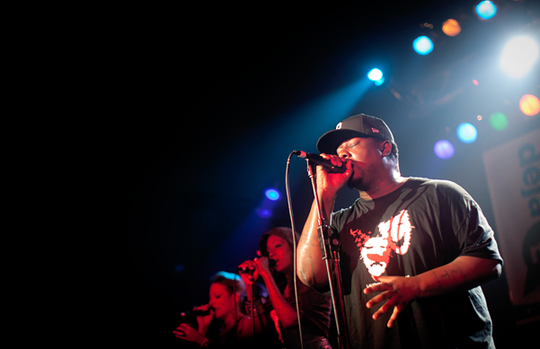 At 32, Phonte admits that his twenties were often a "me against the world" period in his life, and that he now feels ready to deliver his solo debut, Charity Starts At Home on September 27. 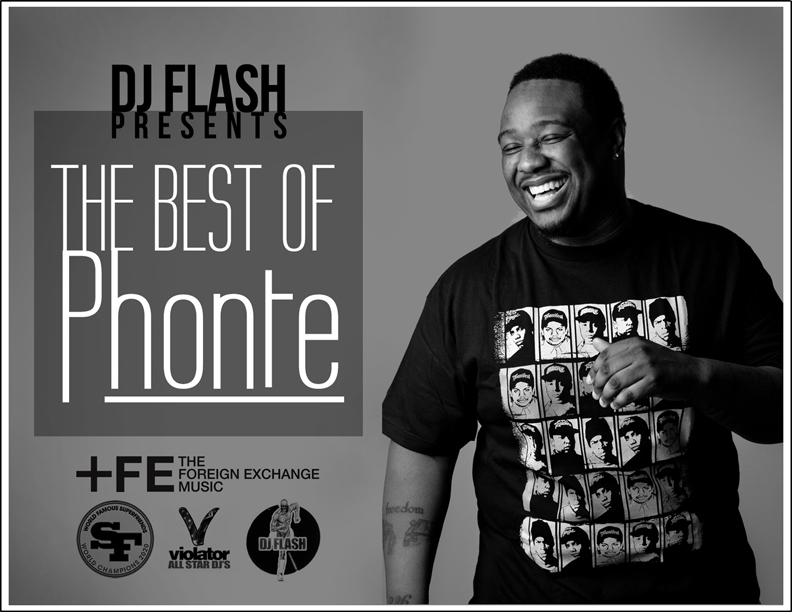 As the title indicates, Phonte is celebrating an inward focus, on a record he quickly admits, "isn't for everybody." I had spent most of a beautiful, sunny Saturday morning shuffling back and forth between Charlotte and Lake Norman. Enjoying the warm glow of Carolina sunshine and the breeze of a windows down and wind in my face kind of day. I love music. I mean love it the way a hippy loves love, hemp and patchouli. So there's is no genre that I will shy away from.But lately, maybe the past year really, the Charlotte hip hop scene and I haven't been seeing eye-to-eye. There will be the occasional show that pops up and a few open mics that entertain at best but the true hip hop savvy scene from years ago seemed to truly be lost. Lost in the fog of commercial one-hit-wonders and Charlotte's incessant need to be trendy, which in my humble opinion, picked the bare bones of an already incredibly thin hip hop scene. Now when I say Charlotte hip hop scene, I'm talking the days of Fat City, the Room, The Graduate, Jeff's Bucket Shop and the like. So there I am, basking in the comfort of my playlist. It was full of cool-out music, Esthero, Sweetback and the most recent addition, The Foreign Exchange, and Im askin myself why doesn't Charlotte get more live music like this? No sooner than that question popped in my head, I got phone call from Shutter 16 photographer, Matt Pock, informing me that we were going to cover the Foreign Exchange show that night. I would have my question answered that night in a way I have not experienced in years. This weekend in Raleigh, NC, an eclectic collection of bands both new and old, from Boise, Idaho, dream-pop up-and-comer Youth Lagoon to Dayton, Ohio, rock vets Guided by Voices, gathered for the second annual Hopscotch Festival -- here, we break down the eight best moments of the festival. Some years back, Phonte Coleman, the former main man of North Carolina's defunct underground hip-hop outfit Little Brother, began collaborating with Dutch producer Nicolay, e-mailing tracks back and forth between continents. That evolved into the chill ambience of the Foreign Exchange's 2004 debut album Connected. Seven years on, that frosty vibe has warmed up to a sleek soul-revue-style live band tight enough to bounce quarters off of. Still riding high off last year's Grammy nomination, Foreign Exchange played a celebratory show to a friendly hometown crowd. Coleman is a triple-threat on the mic, equal parts hip-hop emcee, R&B love balladeer, and animated preacherman. But it's a gospel of good times that he preaches - when Coleman called for choruses of "Amen" and "Hallelujah," it was about having fun. "I love y'all back," Coleman said to the crowd's adulation. On Friday September 2, 2011 at 12:00 EST, tune in to National Carolina Public Radio/WUNC-FM to listen to an exclusive live-in-studio session and interview with The Foreign Exchange on The State Of Things with Frank Stasio.